Welcome to another Expert Interviews Series podcast. This episode we met with Dr. Olga Boukrina, a scientist from our Stroke rehabilitation research group. 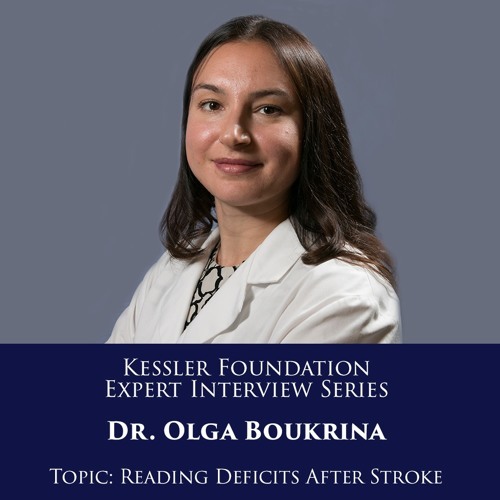 Dr. Boukrina, received her PhD in psychology from Rutgers University and her main focus of research at the foundation is reading deficits in the stroke population. This episode was recorded on Tuesday, May 2, 2017 and was hosted by Joan Banks-Smith, editor and producer of this podcast series.